Recognized as an expert in Renaissance art, Jane Schuyler has thrived in her esteemed career as a fine arts educator. Her ever-growing interest in the field initially took root during her time at Queens College, where she earned a Bachelor of Arts in 1965, and continued on at Hunter College, where she earned a Master of Arts in 1967. While Dr. Schuyler was pursuing her final educational degree, a PhD from Columbia University in 1972, she also obtained her first professional position as an assistant professor of art history at Montclair State College in 1970. She fell in love with the work, and hasn’t looked back since. Over the years, Dr. Schuyler experienced rapid academic growth, concluding with the distinguished title of professor emeritus of fine arts at York College of the City University of New York, which she has held since 1996. Previously, Dr. Schuyler served the institution as a professor from 1993 to 1996, associate professor from 1988 to 1992, and assistant professor from 1973 to 1987. She also worked as adjunct associate professor at Long Island University from 1977 to 1978 and as an associate professor at C.W. Post College at Long Island University from 1971 to 1973. Her interest in Jewish and Christian cabala and their impact on the Sistine Ceiling’s iconography led to her being hailed a pioneer. Dr. Schuyler feels that the best parts of her profession are inspiring students and traveling to experience historic art and specialist libraries first-hand. One summer, she toured Italy with students for six weeks, and was honored to be able to teach them about Renaissance works while standing before the originals. Another highlight was when Count Roncalli brought her behind the locked doors of the Vatican to examine a bust by Donatello. ​Using her extensive background in Renaissance art, Dr. Schuyler is the author of “Florentine Busts: Sculpted Portraiture in the Fifteenth Century.” She has also contributed articles like “Death Masks in Quattrocento Florence,” “The Left Side of God: A Reflection of Cabala in Michelangelo’s Genesis Scenes,” and “Michelangelo’s Serpent with Two Tails,” to professional journals such as “Source: Notes in the History of Art,” sponsored by the Bard Graduate Center. Further, Dr. Schuyler feels that one of her greatest professional achievements was having two articles published in Wallace’s “Michelangelo: Selected Studies in English.” She is currently working on a book, “Michelangelo and Cabala: Cabalistic Influence on the Iconography of Michelangelo’s Sistine Ceiling.” The research was supported by a PSC-CUNY 20 Research Award. When Dr. Schuyler isn’t sharing her knowledge of her field, she enjoys being active in her community. Formerly the secretary, vice chairman and then director of the Hampton Court Cooperative, where she has been since 1987, she also held memberships with the Renaissance Society of America, the College Art Association, and the National Trust for History Preservation. 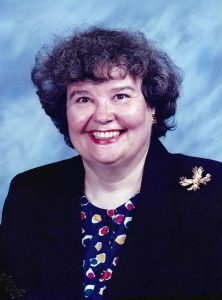 She was part of the international fine arts committee at the Women’s Art Festival from 1974 to 1976, and she served as the president of United Community Democrats from 1987 to 1989. Some of Dr. Schuyler’s proudest accomplishments were being elected as a delegate to the Democratic Judicial Convention twice and female member of the Democratic County Committee three times. She credits much of her success and growth to networking with other art historians and teachers from all over the world, as to her students, who constantly teach and surprise her. As a testament to her hard work and dedication, Dr. Schuyler has been featured in numerous editions of Who’s Who in America, Who’s Who in American Education, Who’s Who in the East, Who’s Who in the World, Who’s Who of American Women, and Who’s Who in Emerging Leaders in America. Additionally, she received a research award from the Professional Staff Congress at the City University of New York (PSC-CUNY), a forceful advocate for faculty and staff at CUNY, and was a travel and research grantee at Columbia University in 1969. Looking to the future, Dr. Schuyler intends to stay healthy and vigorous.